Designers and entrepreneurs have a lot in common. They're both trying to create, to make change and to make an impression. In this new book, The Designer Says: Quotes, Quips and Words of Wisdom (Princeton Architectural Press, 2013), writer Sara Bader compiles intriguing lessons from notable designers on everything from innovation to hiring and failure. We've pulled out our favorites in this slideshow. Bruce Mau, the Canadian designer and founder of the Institute Without Boundaries, speaks about Innovation. Louis Danzinger, who consulted for the 1984 Olympics, on creating a meaningful body of work. Ray Eames, one half of a husband-wife team that developed iconic modern furniture, on versatility. Stephen Doyle, creative director of Doyle Partners, on purpose. Michael Bierut, a partner at design firm Pentagram, on what really matters. 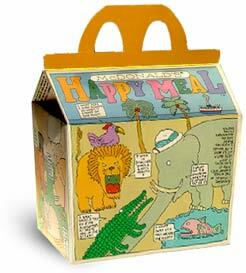 Seymour Chwast, who designed the first McDonald's Happy Meal box, on perseverance. Ken Garland, a noted British graphic designer, on the importance of your product.